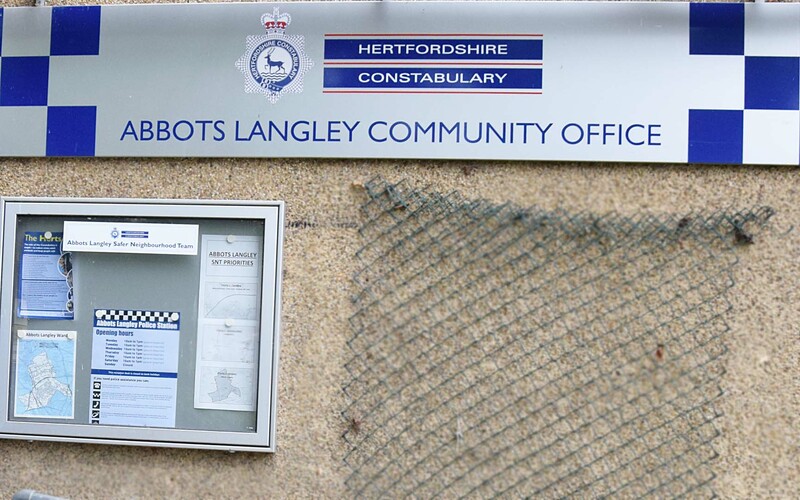 Police are appealing for information and witnesses after an incident of criminal damage in Abbots Langley. The incident occured at 10.40pm on Saturday, August 19, when two bricks were thrown through windows at the front of a house in Hazelwood Lane. The suspect is described as a white man, aged in his early 20s, wearing a dark puffa jacket with the hood up. PC Dan Cunningham said: “Thankfully no one was hurt during the incident and entry was not gained to the property however, the homeowners have been left with a hefty repair bill to replace the damaged windows. The happened despite Police patrols were said to have increased following burglaries and vehicle breakings ealier this month.